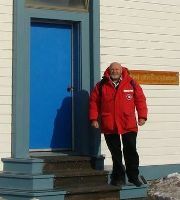 Priests ‘not needed’ on Antarctic missions (?) – W.A.P. There’s a saying about there being no God in Antarctica but from this summer there will also be fewer priests. America’s National Science Foundation has told Christchurch’s Catholic Diocese in NZ it no longer needs local priests on the ice. It was a sad development, but inevitable, says Father Dan Doyle (pic aside), who had been to Antarctica himself 14 times since 1984, and it was an amazing experience for the clergy. Fewer staff are now working at the US stations in Antarctica. 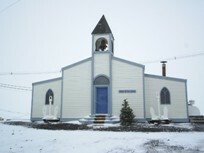 The Christchurch diocese has been sending priests to McMurdo since 1957, with five priests going each summer and working out of the base’s Chapel of the Snows.